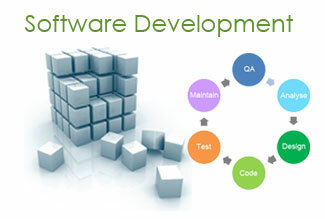 Waytogulf is a global technology organisation furnishing advanced end to end web services. We believe in exhibiting further end to end solutions by collaborates our business domain experience, technically skilled, profound knowledge of latest trends and quality driven delivery model. Domain Registration with Customized Online and Desktop Software Development. Waytogulf is always focused on becoming pacemaker by the current norms; the company is keen on digital transformation. The organisation has not only comprehends the current wave of trend, but it also has revolutionized the way individual work and the approach they use to form of an interaction between the functions, end users, and employees. Approach the experience of professionals in their field, whether you need user interface design, modern infographics and animations, SEO, copywriting or social media management. We disclose the best solutions for the progress of your business through our proven experience in digital. Make your vision and ideas reality with our top team of imaginative minds. Your custom website design will be attractive, user-friendly and deliver strong branding and a great user experience for your consumers. Better yet, the design, management, development and hosting of all your online requirements is in the one place! Some firms love to build complicated sites. In case of us, we choose the simplest tool that will effectively achieve a task. Simple sites load faster, are easy to use and are less prone to problems.